CHICAGO, March 18, 2019 /PRNewswire/ -- Telephone and Data Systems, Inc. (NYSE: TDS) today announced that Wade Oosterman has been nominated for election to the board of directors. Mr. Oosterman will stand for election as an independent director at the company's annual meeting of shareholders, to be held May 23, 2019. Mr. Oosterman is Vice Chair and Group President of BCE Inc. and Bell Canada, Canada's largest communications service provider with more than CA$23 billion in annual operating revenue. In addition to his Vice Chair role, Mr. Oosterman also oversees Bell Media, Canada's top broadcasting and content creation company, and is BCE's Chief Brand Officer responsible for all advertising, promotional and sponsorship activities. Mr. Oosterman has been instrumental in BCE's transformation into Canada's broadband communications leader across wireless, wireline and media segments, improving the customer experience, streamlining its cost structure and creating a clear, consistent brand identity that resonates with consumer and business customers. 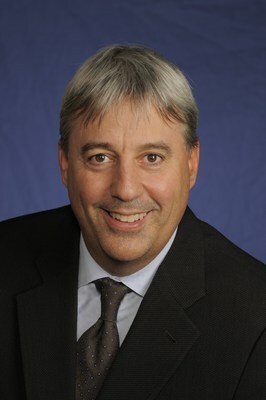 Prior to joining Bell Canada, Oosterman was Chief Marketing and Brand Officer for TELUS Corp. and Executive VP, Sales and Marketing for national wireless provider TELUS Mobility. Prior to that, Oosterman was a co-founder of Clearnet Communications Inc., a successful independent wireless company that was sold to TELUS in 2000 for CA$6.6 billion. "With his extensive knowledge and experience in all aspects of the telecommunications industry, Wade Oosterman will bring valuable insight and counsel to the TDS Board," said Walter Carlson, TDS Chairman. "We are delighted to have him join our board and believe he will serve all TDS shareholders with distinction." "Wade Oosterman's proven track record for delivering exceptional results in our industry will provide for meaningful contributions to the TDS board, including sound engagement with executive management," said LeRoy T. Carlson, Jr., TDS president and CEO. "His deep understanding of the importance of the customer experience and his ability to successfully navigate the rapidly changing telecommunications landscape align with TDS' values and strategy." Oosterman has served on a number of boards of directors, including for Ingram Micro Inc., Virgin Mobile Canada and Clearnet. He currently serves as a director for Enstream, a joint venture of Canada's largest wireless providers that develops identity verification services for mobile payments and other secure applications. Mr. Oosterman earned an MBA and BA from the prestigious Ivey School of Business at Canada's Western University. TDS' esteemed director, Mitchell Saranow, is retiring from the board of directors at the 2019 Annual Meeting. He will become a director emeritus of TDS, effective when his term expires May 23, 2019, following the 2019 annual meeting. "On behalf of the board, I thank Mitch for his many years of outstanding and distinguished service," said Walter Carlson. "Mitch has continuously made contributions to the board through his substantial knowledge and wise counsel, and I look forward to his continued participation on the board of directors as director emeritus." Telephone and Data Systems, Inc. (TDS), a Fortune 1000® company, provides wireless; cable and wireline broadband, TV and voice; and hosted and managed services to approximately 6 million connections nationwide through its businesses, U.S. Cellular, TDS Telecom, BendBroadband and OneNeck IT Solutions. Founded in 1969 and headquartered in Chicago, TDS employed 9,400 people as of December 31, 2018. Visit investors.tdsinc.com for comprehensive financial information, including earnings releases, quarterly and annual filings, shareholder information and more. SOURCE Telephone and Data Systems, Inc. Copyright © 2017 Telephone and Data Systems, Inc. All Rights Reserved. Copyright © 2016 Telephone and Data Systems, Inc. All Rights Reserved.